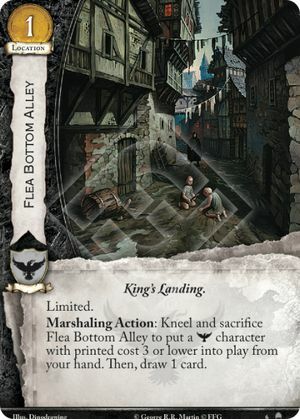 If each player didn’t draw 2 cards(Ex: a player has High Sparrow in play and another player’s plot that draws 2 cards triggered first), then the pre-then condition has not been met and no one discards any cards even if they don’t have a city plot in their used plot. 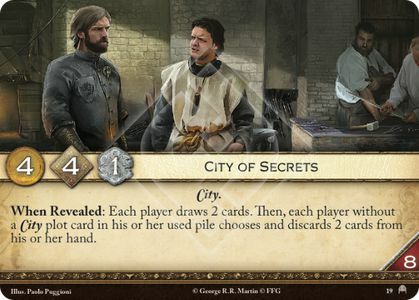 If City of secrets is revealed as your last plot, the plots in your used pile remained there until after all the When Revealed abilities have been initiated. If your opponent has less than 2 cards in hand, they cannot choose 2 cards in hand to discard to prevent the kill effect. 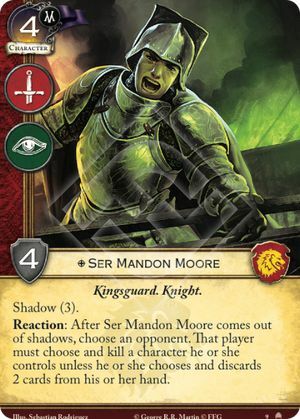 Preventing the kill effect by discarding 2 cards does not count as the character being saved. If your opponent does not control any characters, your opponent is not required to discard 2 cards. 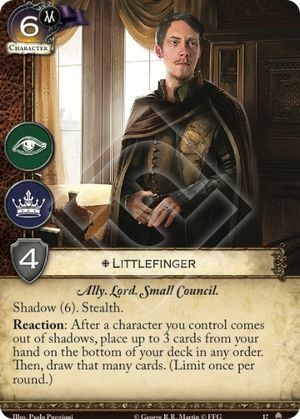 If you put a duplicate of a unique character into play, then the pre-then condition has not been met, so you do not get to draw a card. If you marshal/put into play Aged Craftsman and put a location into play that has a reaction to a character being marshalled/put into play, the reaction window for Aged Craftsman being marshalled/put into play is still open and you may trigger that location. 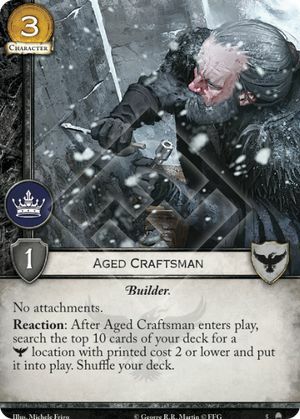 For example, if you marshal Aged Craftsman and use it to put Brandon’s Gift into play, you could then trigger the Gift.